A little while back I was contacted by Decathlon to see if I would like to test out some of their Summer wear from Kalenji. Kalenji was not a brand I had heard of before, but on mentioning it to a few clubmates, I realised that the majority of people I spoke to recognised the name or had purchased items in the past. I was sent out the Kalenji Eliofeel Tank Top (£9.99), a pair of Kalenji Kiprun Kanergy Short Tights (£19.99) and a pair of Newfeel Propulse Walk 400 trainers (£39.99). It was a welcome distraction when Bella decided to come and investigate what we were up to though. I’ve been after a photo to head my new blog design (did you notice the change by the way?!) so yesterday Dan and I headed out to the trails and got a little snap happy with the kit again. I fell in love with the tank top straight away. Most of my running clothes are fairly plain and boring. I’m not a massive fan of clothes with slogans or sayings on, especially for day-to-day wear but the simple ‘RUN’ emblazoned across the front of the tank was a nice change from my normal selection of tops. The fit of the top was really nice and flattering. 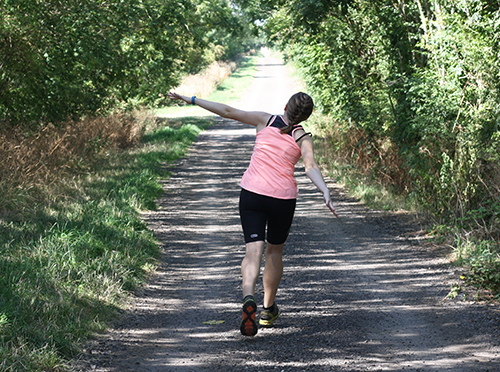 As someone whose stomach probably isn’t as toned as it could be, it is important to me that any top I wear whilst running doesn’t ‘hug’ my tummy. In the past I’ve often had problems with tops riding up whilst out on a run, but that wasn’t the case at all with this one. I do really like running in tank tops and feel much cooler (heat wise!) when I do so. I was a little dubious about trying the shorts on when they first arrived. I absolutely adore my Ronhill loose-fitting shorts, and own three pairs of the same in various colours. 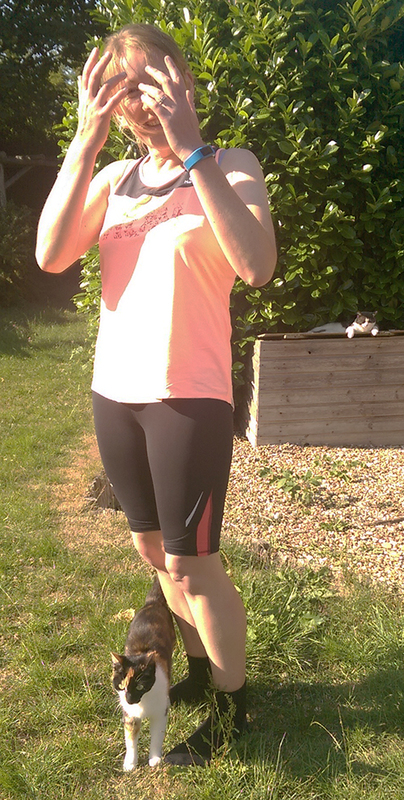 Other than the depths of Winter, I live in these shorts whilst out running. They are mid-length, baggy and very loose around my stomach and legs. The Kalenji shorts were completely opposite. They were tighter fitting, much longer and had a large coloured panel which went over my stomach. But I pulled them out of the box and up over my bum anyway. And then fell in love with them. Again, just like the top they were incredibly flattering. The shorts are actually compression shorts and ‘enhance venous return and reduce microtrauma to muscle tissue as a result of impact during running’. The coloured panel was comfortable over my stomach, and was a nice feature. There was also a zip in the back. Always useful when you need to lock the house up before heading out on a run! 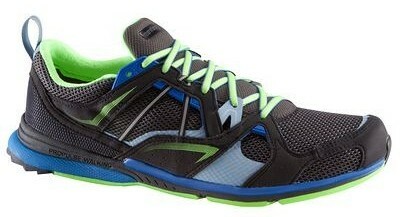 The trainers are designed to be walking trainers and just lately I have been doing a lot of walking! I live in Converse most of the time outside of running. I’m not a dress-it-up-with-shoes kinda gal and find Converse super comfy for day-to-day tasks. I do quite a lot of walking though, and now that we are down to just one car (RIP Dan’s car) I have been making more trips than normal to the now much further away (20 minutes) shop for various bits and pieces during the week. Converse aren’t the most supportive of shoes so I tend to wear my running trainers for longer jaunts out to town. I’m never sure if walking miles in trainers count towards the recommended 500 miles of use you should get out of them before changing your trainers, so these are coming in handy for all those little trips. I liked that when I put both running items on they matched. I hardly ever co-ordinate my workout outfits, so it was lovely to not have to really think about it and just throw them on together. 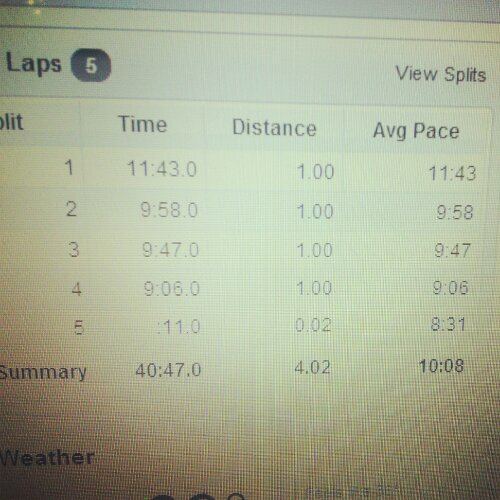 All I had to do then was head out and enjoy my run! Do you own any items from Kalenji? I’ve asked before, but just how do you manage to take photos of yourself?! What do you think of the new blog layout? If there is anything that doesn’t work on your phone/tablet/etc, please let me know! When I first started running I pulled out some old trainers from the back of my cupboard that had been kicking around for several years. They didn’t have a lot of support and were the same size as my feet which I soon realised was a size and a half too small for running long distance. Several toenails were lost in the lead up to my first marathon in 2012! In 2013 I was lucky enough to win a place on Operation Ultra as part of Women’s Running magazine, and as part of my prize I received two pairs of Asics trainers. I fell in love. I rotated and looked after those beauties (well, Dan did the cleaning of them!) and they saw me right through to Christmas just gone. But by that point I knew I was desperate for another pair. 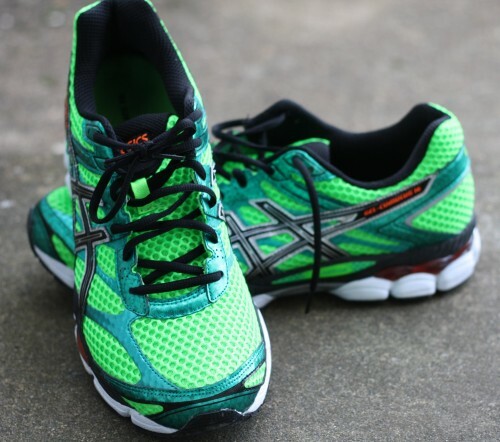 The trainers I had received as part of my winnings were trail shoes, but also competing in a lot of road events I saw the benefits of having a pair of road shoes as well. I’d just never spent so much on a pair of trainers before. I was used to previous pairs costing me £19.99. A few people had given me money for Christmas and put together I worked out that I could afford a new pair of road shoes. 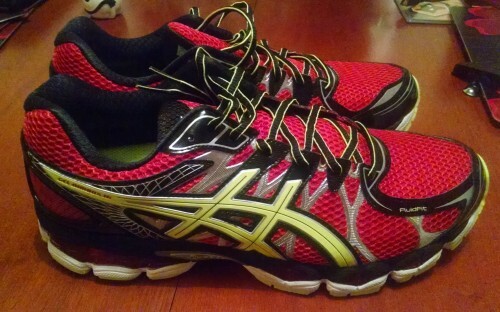 I tried a few on in store and fell in love with the red Asics Nimbus 16s. Two days later, they arrived on my doorstep and my feet were super happy. Imagine how excited I was to receive an email from SportsShoes last month asking if I would review a pair of their Asics trainers in return for getting to keep the pair. What does every runner always need? A supply of beautiful trainers! So erm, yes please! I deliberated for ages over which ones to choose. I could go for some more Nimbus 16s, although I already had a pair of those. I thought it made more sense to test out a different pair and after a few days of going backwards and forwards, checking out the spec of each trainer on the Sports Shoes pages I decided to go for the Cumulus 16s this time. In green obviously, sticking to club colours. They arrived quickly and I was super excited to tie them up and compare them to the other trainers. Therefore, although my review is only required for the Cumulus, I intend on reviewing all three of my ‘new’-ish trainers. I wore these for ten miles of trail the first time I took them out and they felt so comfy! No blisters or rubbing although on the first two runs I could tell that they were new and hadn’t yet moulded to my feet. They felt a little tight across the bridge of my foot but I have the fattest feet out of everyone I know. By the time it came to my third run in them they fit like a glove. 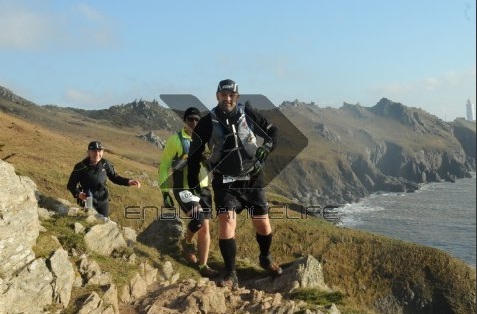 …and they kept me surefooted during the cliff-climbing sections of South Devon marathon last month. Having run quite a lot of off-road over the past year I need shoes which I can comfortably throw myself down the hills with some degree of trust and these fit the bill. The first time I put my Nimbus 16s on I felt like they went up a long way at the back of my foot towards my ankle. Although, when I’ve seen pictures of myself running I can’t say I’ve ever noticed this is the case! Again, there was no rubbing and I haven’t had any blisters. I haven’t run any races since buying these shoes, but the first thing I noticed about them whilst on a run was how incredibly light they were. 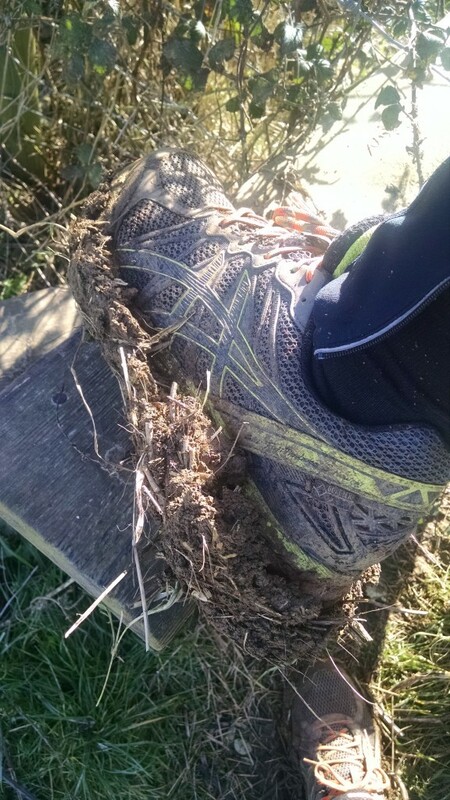 After being weighed down in a pair of trails covered in thick mud all Winter my feet felt they were flying on the first (supposed-to-be-) easy four mile run I took. It was so easy to pick my feet up high and the base of the shoes sprung powerfully and almost automatically across the tarmac. I couldn’t resist throwing a bit of fast fartlek in along a flat stretch of the route and enjoying my legs really picking up the speed. They do feel roomy inside. Running long distances I need a shoe which lets my feet expand as I run over time to avoid the dreaded black toenail and I like that these shoes have a lot of space in the front as my feet get warmer over time. P.S. They look hot! I like to imagine that the Asics symbol down the side is actually a lightning bolt as I speed past everything in sight. My feet felt very cushioned and well supported in these and unlike the other two shoes I never felt the tightness across the bridge of my foot during the shoe’s first couple of outings so these are potentially slightly wider. Even though the Cumulus feels a little more weighty than the Nimbus model, these have become my day-to-day running shoe that I use in all training runs as I find the support I gain during turns and mixed pace sessions is spot on. 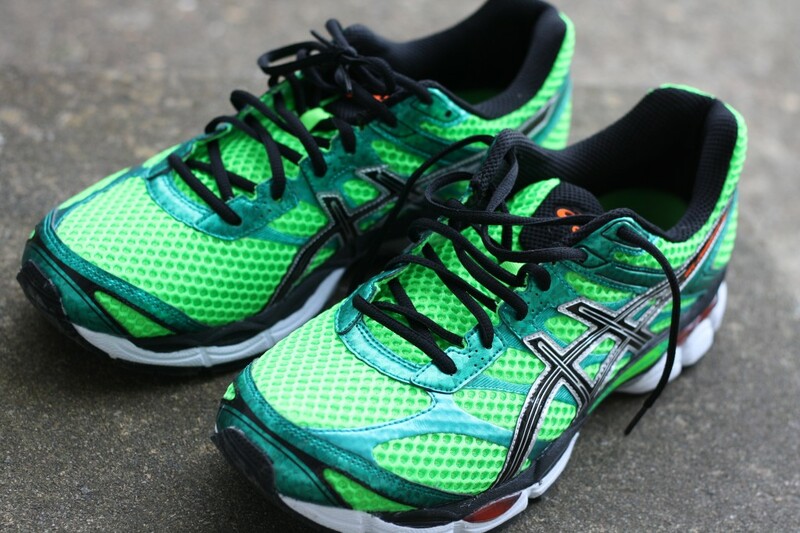 As someone whose entire body seems to sweat up incredibly quickly when running, the mesh over the toes allows my feet to experience some fresh air and keeps my toes from overheating during a run. These shoes are a little less pricey than the other two but equally as high in quality. I do feel as though there is no moving away from Asics for me now as far as trainers are concerned. I am very happy with the quality of the three pairs I currently own and I have a different use for each pair. 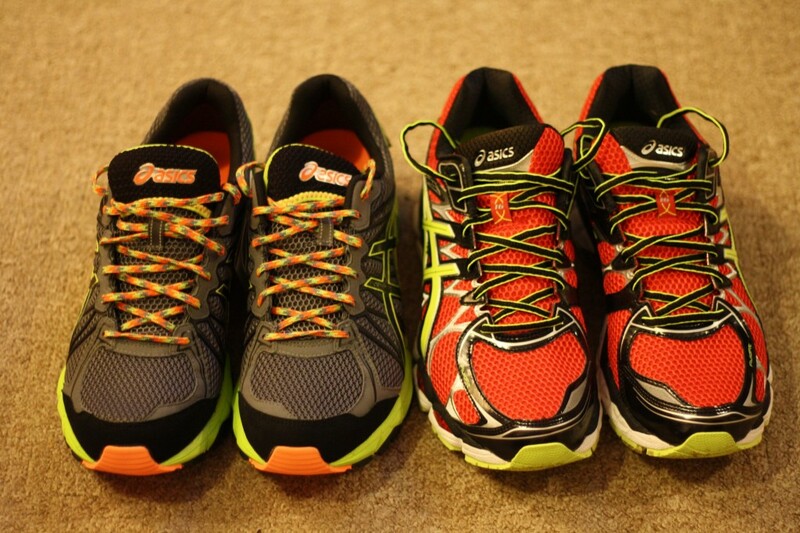 The Trabucos for trail runs and trail races, the Nimbus for road races and the Cumulus for everyday training. I think I’m all set for the 2015 race season now! Do you own any Asics items? What trainers do you run in? What trainer size are you? Is anyone as big-footed as me?! On Friday night I headed out for an 8.4 mile ‘long’ run on my own after work as Dan was not going to get home until late and I had nothing better to do. (Well, I probably did, but it was always going to be ignored!) It was almost dark by the time I set off in the end so I headed out in a yellow reflective Nike jacket and my headtorch. Every time a car headed towards me on the road I started wiggling my head from side to side so that my headtorch stood out to the traffic. I got lots of wide births. Hopefully because the drivers realised that there was something in the road and not just because they thought I was weird! 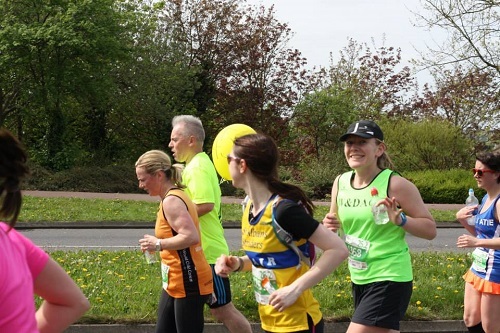 At the start of the run I really, really struggled to keep my heart rate down in Zone 2 but once I got into the step pattern I could maintain the slow pace much easier and I began to enjoy the run. Yesterday I ran an easy 3miles in Zone 2 (130-143bpm) and today I headed on a 10.1 mile route with friends from club not worrying too much about my heart rate. 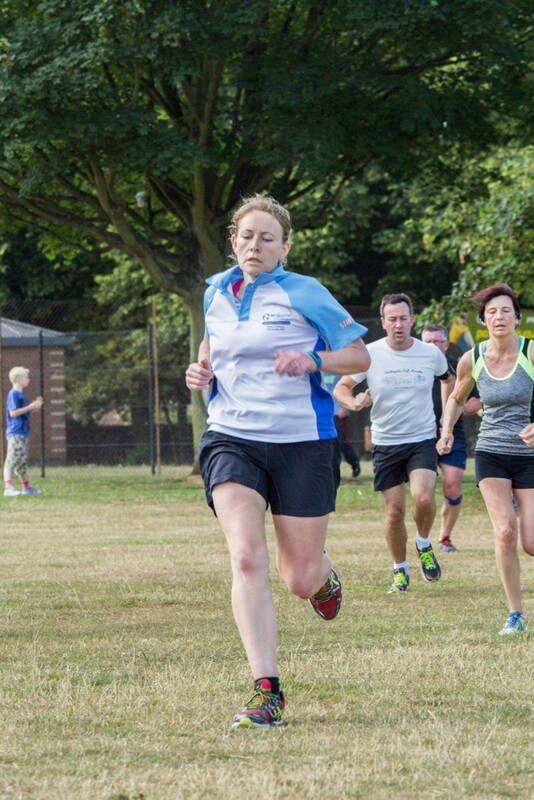 It’s hard to a) concentrate on the figures and b) stick running that slowly when running with others. Looking back at my data though my heart rate remained relatively low without the constant watch checking. I made a point of running much slower than I usually would as we were running with a mix of Group 5 and Group 6 runners (I usually run in Group 5). One of the requirements when running with friends is that you have enough breath left to be able to talk all the way round and that usually requires a pretty slow pace! The ten miles went by really quickly. Not literally, obviously. It went really slowly, but I was happily enjoying the moment and I had lots to chat about. Dan and I are not long back from watching the town Christmas lights being switched on complete with firework display. We only live 5 minutes walk from the centre of our town so we pootled down before dinner to check out the hotdog stand and see the lights before heading back home to work a little more at ticking off our Christmas present shop. 19/24 presents BOUGHT! 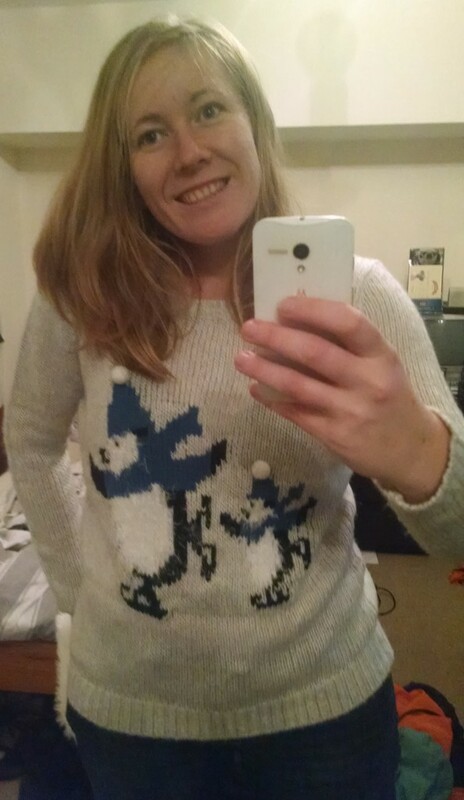 I’m all about the online shopping this year. We had planned to head to Milton Keynes or Corby yesterday afternoon but after watching the ridiculous Black Friday riots on the news we decided it was probably quicker, safer, cheaper and more reliable to order gifts from our couch instead. I can’t believe how crazy the Black Friday sales got in the UK. It’s not even a public holiday for us over here so the majority of the population were at work. It’s pretty scary how people can behave the way they have been behaving – completely out of control. Way too many people seem to have been let into the shops at opening time. Every single piece of footage I have seen has shown shops where no-one can move due to the sheer volume of people inside. It really worries me that there are people in the world who believe that acting the way they have is an entirely appropriate way to behave. I haven’t really felt very Christmassy at all yet this year. On Tuesday night (25th November) I nipped out for a quick 3 mile run only to return to my house less than half an hour later with the entire street lit up like Times Square with Christmas lights dotted on all the houses. On the way home from the light switch on tonight I was actually trying to work out when, or if, we have a spare few hours during a weekend before Christmas. I’m not sure we’ll be putting our tree up until the start of the Christmas holidays we have that much coming up. Did you brave the Black Friday sales? Snap up any good bargains? Yesterday we had no internet at school. Every Friday for the past month the internet has gone down at some point in the day, which has been frustrating as I teach web design to three classes on a Friday afternoon and it’s a subject that’s quite hard to teach without access to the internet! After hours and hours on the phone to BT over the past few weeks with them telling me I had software issues at the school they finally agreed to come out and have admitted fault for the issue. Good job too otherwise I’m sure I would have personally been asked to foot the £225 callout charge! Unfortunately it has meant that we are without internet whilst they try and resolve the problem. With only six teachers working on a Thursday I am sure all but one have rushed to find me to ensure they get the internet working again in time for their lessons. It’s crazy how much teaching has changed. When I was towards the end of high school the internet had just come around and there were three computers in the school library with internet access that were permanently booked up for use. When I tell the kids I teach this now they ask me if there were TVs around when I was little. Erm, thanks…I’m not quite that old! 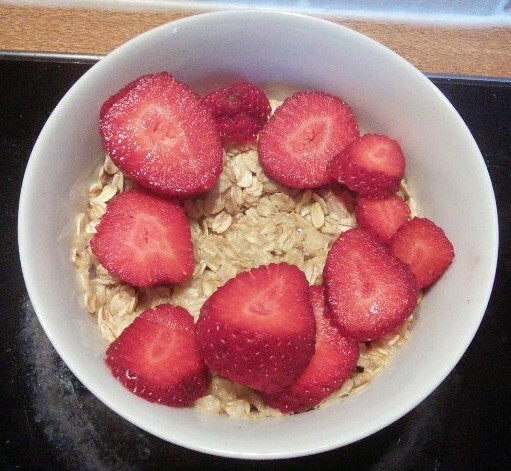 Breakfast yesterday morning was the same as the day before… Oats and three strawberries. I’m just loving this combo! 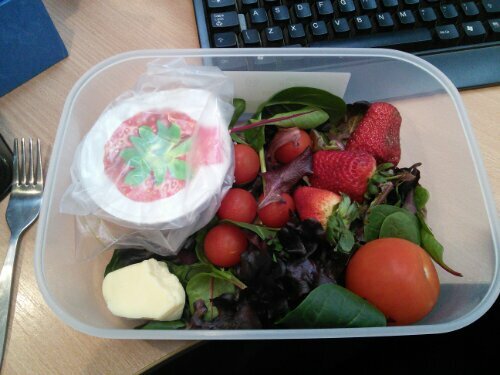 Lunch was a rush job and I threw together a quick salad of leaves, cherry tomatoes and cheese with a few extra strawberries to munch on before they go off. I also added a Danio yogurt for a mid afternoon snack to keep me going through to running club. 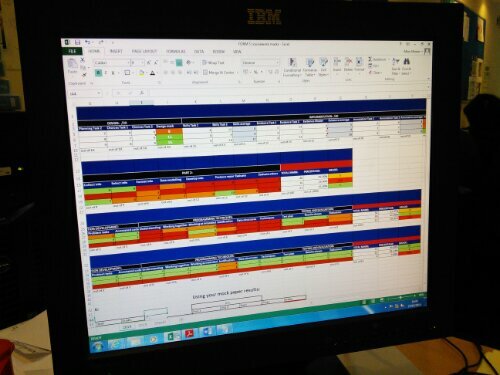 I spent my lunch hour updating the coursework spreadsheet for my year 11s. These colours never make me think of traffic lights. They always remind me of peppers and I regretted not chopping one up as part of my lunch! 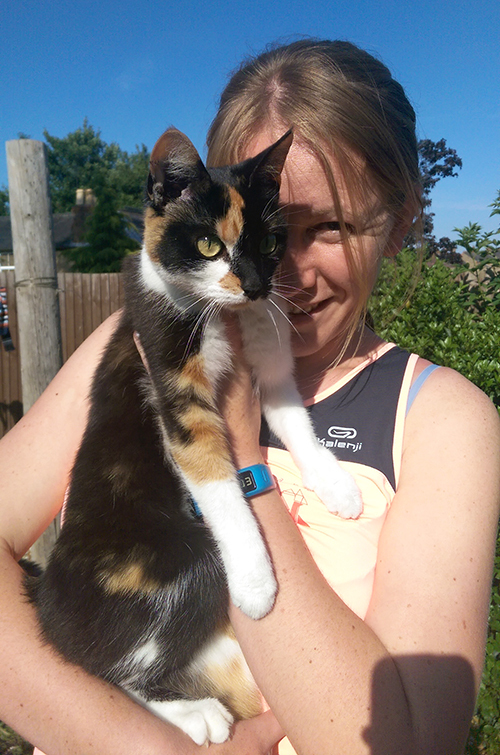 Even though in the morning I was super organised and managed to make lunch, put tea in the slow cooker and organise my running stuff ready for club I somehow realised when I arrived in Wellingborough yesterday evening that I’d left my kit bag back at home in the porch. 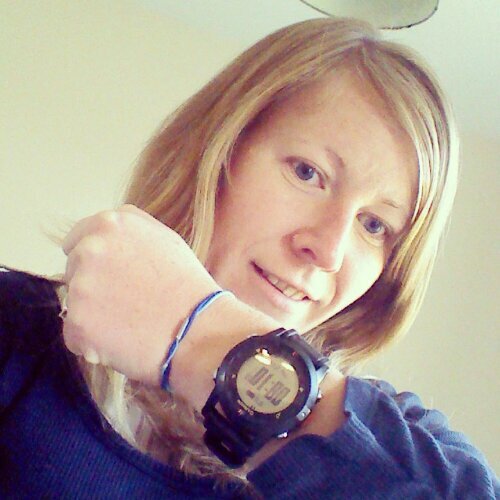 I’d even been organised enough to put my Garmin on instead of my regular day watch so that I didn’t have the worry of losing my watch when I switched later on. After a long day at work (you can see the bags under my eyes in that photo and that was in the morning!) all I really wanted to do was go for a run and was gutted I forgot my kit, so quickly charged my iPod when I got in and headed out for an unplanned progression run over a hilly route. I really enjoyed it and my legs remembered they can pick up the pace when they’re asked to! 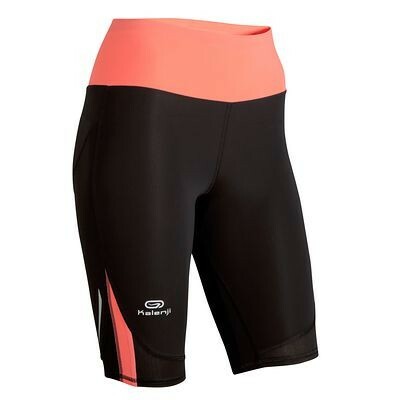 At the moment my favourite shorts of all time (Ronhill) are on sale at SportPursuit. I lived in these all Summer long so felt I could justify picking up another pair and one in purple at just £12.90 a pair. Hopefully they’ll arrive before the heat hits again and I won’t have to rush through my washing pile quite so quickly each week. 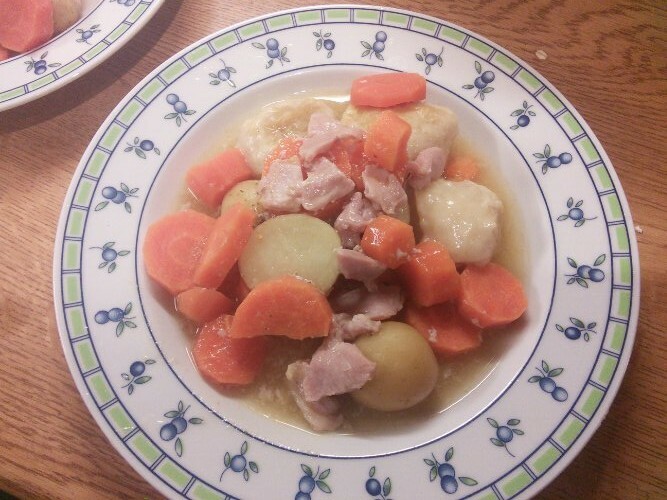 In love with the slow cooker lately and I’d quickly thrown together a bacon casserole in the morning for our dinner which didn’t take long to pull out and serve up when I returned from my run. 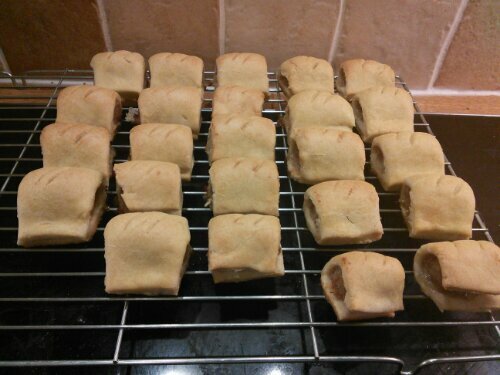 Because our school is hosting a craft fair tomorrow morning I had been asked to do some savoury baking for the school’s own stall so ended up staying up until 11pm baking sausage rolls. They turned out quite well though so I’m happy. Just got to remember to take them with me now! Today is Dan and my seven year dating anniversary so we shall be heading out for dinner tonight after work. It’ll be nice to see some of each other. It seems like we’re both always busy just lately. 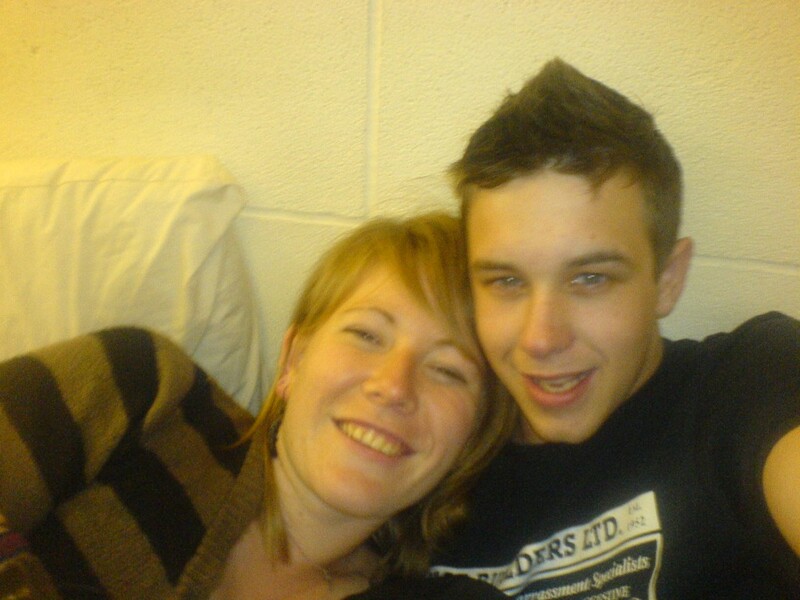 …and so that you can see our faces, this is what they looked like seven years ago! Do you have pictures of the first day you met your other half? Or was it back when taking photos wasn’t such a big thing?! When you’re married, do you still celebrate your dating anniversary?